Based on the approval for submission of paper, deadline for submission of final paper is no later than, January 17, 2020*. The Global Business Research Symposium will set aside space for those who wish to pursue discussion of a particular topic or issue. Interested individuals should submit a proposal not more than 400 words, on or before January 17, 2020. In addition, the proposal should indicate the duration of the panel discussion (preferred duration is 90 minutes). 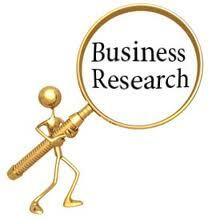 Please reference Global Business Research Symposium in your submission. The Global Business Research Symposium invites presenters to become a Session Chair. Individuals that are interested in participating as a Session Chair, please email your Resume or CV to conference@uofriverside.com. The proposal will be reviewed by the Steering Committees. $100 USD discount for paid registration fee received on or before December 20, 2019*. Checks, Cashier’s Checks and Money Orders can be made payable to: La Sierra Group. Wire Transfers** are accepted. You may email us at conference@uofriverside.com for further details. *Non-Refundable/Non-Transferable fee must be received by the early bird deadline of December 20, 2019 to receive the $100 discount, this includes completion of wires and bank transfers by this date. **Please note that wire transfers may take up to 2-3 weeks to clear. Participant will be notified immediately once monies have been applied. An additional $25.00 processing fee will be assessed for all wire transfers. Re-issue of an invitation letter is subject to a $50.00 fee as well as the $25.00 wire transfer fee. To be announced. Please note the conference details are subject to change without notice. You may email us at conference@uofriverside.com if you have any questions. If you are interested in a particular presentation, you may purchase a single DVD with your desired presentation only. Total cost for a single DVD is $79 USD. Tax and shipping is not included. If you would like to purchase DVDs you may email us at conference@uofriverside.com for further details. Please click below to view media for Global Conferences. For additional information, you may email us at conference@uofriverside.com for further details.